The man behind a number of hugely successful blockbusters and hit films, the Canadian film director, producer and screenwriter James Cameron has racked up a staggering estimated net worth of $700 million. One of the best known directors in Hollywood, James Cameron has been named the single best-paid person in Hollywood in 2011, and that is not surprising – not when you remember Cameron was the director responsible for the world’s two most commercially successful films, the 1997 romantic disaster film “Titanic” with Leonardo DiCaprio and Kate Winslet, and the 2009 science fiction film “Avatar” that featured Sam Worthington and Zoe Saldana. With a track record like that, it is no surprise that James Cameron is as wealthy and successful as he is. Born on 16 August 1954 in the town of Kapuskasing in Ontario, Canada, James Cameron was raised in a regular middle class household. Cameron’s interest in film directing and scriptwriting was first kindled when his family moved to California. At the time, the future hit director was seventeen and about to begin his studies – however, Cameron’s initial choice of subject in Physics failed to hold his interest. After dabbling briefly in studying English, James Cameron left college altogether, and began educating himself in directing and special effects in between various odd jobs. Amazingly, Cameron would never undergo any formal education in film-making or writing beyond what he managed to teach himself – which makes his future success all the more amazing, and his considerable net worth all the more deserved. James Cameron’s first forays into the film industry would be relatively humble as he worked his way up from working variously as a consultant, designer and sub-director. Cameron’s first real break, however, was not far into the future. In 1984, James Cameron secured the rights to direct a film to his own screenplay, and his first truly independent work as a director proved a runaway success – yielding “The Terminator”, which featured Arnold Schwarzenegger and Linda Hamilton in the lead roles. Having proved himself a talented director with “The Terminator”, James Cameron would then go on to work on a number of other projects, including taking over as director for the sequel to Ridley Scott’s 1979 horror film “Alien”, and directing a second “Terminator” film (where Schwarzenegger and Hamilton were joined by Robert Patrick). Cameron’s greatest success, however, would come in 1997, with the release of the romantic disaster film “Titanic”. “Titanic” was the first film in history to breach the $1 billion mark in box offices, and its success has certainly added a lot to James Cameron’s net worth. And while “Titanic” would only remain the world’s most commercially successful film until 2010, it is testament to Cameron’s talent that it would be outdone by another of his productions – the 2009 sci-fi film “Avatar”, which made more than $2 billion across the world. How rich is James Cameron? At the moment, Cameron’s net worth is believed to be around $700 million, although some sources indicate a figure as high as $900 million. By and large, James Cameron has built up his impressive fortune through his work as a film director, having directed a number of hugely successful films over the course of his career. Indeed, Cameron’s net worth needs little more to explain it than the fact that he holds the honour of having directed the two highest-grossing films in history. 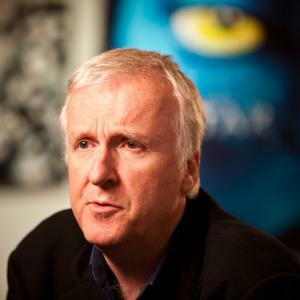 Today, James Cameron lives in New Zealand, having moved there after coming to love the country during his work on “Avatar”. Cameron is married to actress and former model Suzy Amis, and they have three children together – a son and two daughters.